The design process considers the aesthetic, functional, economic, and social needs of our customers. The completed space will serve it's intended functional purpose as well as providing a welcoming and enjoyable environment. Manufacturing commercial cabinets and millwork is a complex process that consists of many operations and requires many skills. Our skilled craftsman work to ensure the highest quality product while avoiding complication and delay. A correct installation is critical to a beautiful and long-lasting product. Our professional, in-house installers work quickly and efficiently while taking pride in their work and going the extra mile to make sure our customers are completely satisfied. 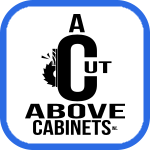 For general contractors, architects, and managers of commercial projects, A Cut Above Cabinets has the expertise and capacity to deliver custom designed cabinetry and fixtures. 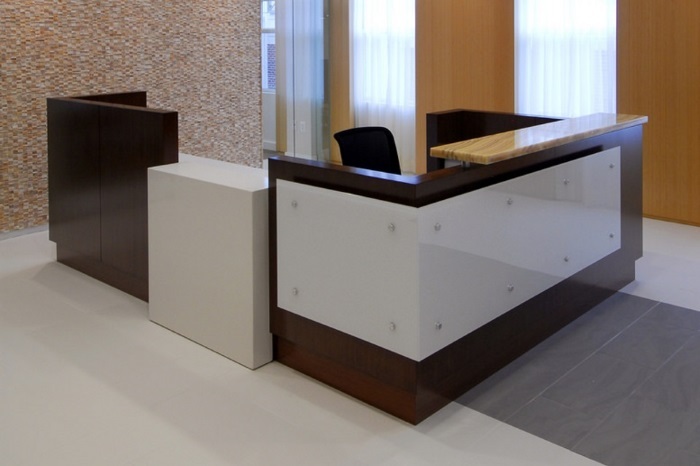 Custom architectural millwork provides a unique touch to any construction project. 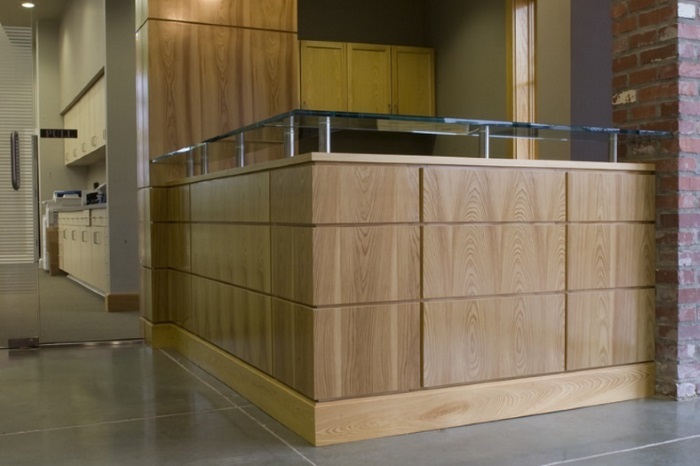 A Cut Above Cabinets offers high quality design, production, and installation of architectural millwork. Contact our friendly design consultants for a free estimate.